In Cambodia, one buys drinks or snacks from vending machines that use banknotes rather than coins. Coins are not in use in Cambodia’s modern economy, but it was not always like that. Archaeological evidence shows that Khmer people first used coins for transactional purposes hundreds of years ago and the currency from each of the eras could tell what the economy and people’s lives were like during that period. Taing Rinith covers the debate between two well-known historians over the evolution of Khmer coins. It was the day before I got my salary. I had some leftover cash from the previous month’s budget so I trekked through antique shops in and around the Russian Market, known among locals as Psar Toul Tompoung, to look for some rare coins to add to my collection. As a Cambodian collector, what I desire most are the ancient or vintage Khmer coins, issued by my ancestors, who for ages have been recognised for their artistic craftsmanship. I spent half a day going from one shop to another, but most of them do not have what I am looking for. Most of what they have in their inventories were coins from other countries such as China, Korea, Japan and the US – not to mention that some of them are fake. I was lucky when I visited Udom Chay Asian Art antique shop, located just north of the Russian Market, because Udom Chay, the owner, said she had some Khmer coins in her stock. Chay brought me to a room at the back of her shop, where she showed me a number of old coins in plastic bags. Chay has tens of uniface copper coins, with about 16 millimeters in diameter and bearing the images of animals such as crabs and birds. She sells them at $6 each. She also has some bigger coins with nearly 25 millimeters in diameter, bearing the pictures of the Sun and priced at $170 each. Chay claims that they date back to at least a thousand years ago. Meanwhile, the stock contains some silver coins which were issued much later. 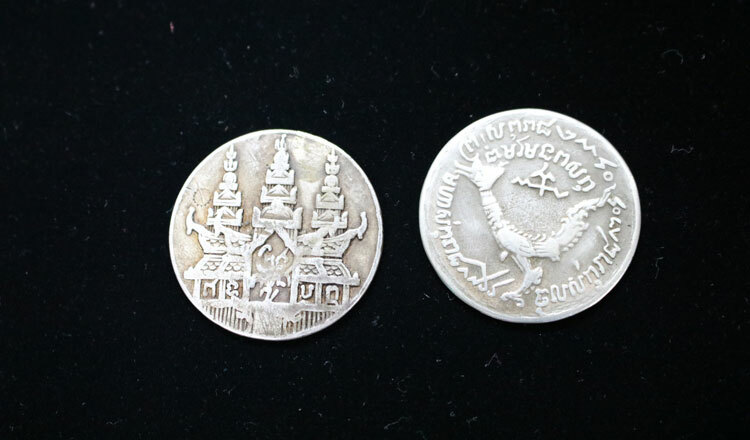 They include the silver coins with a picture of a swan, the current symbol of the Ministry of Economy and Finance on one side and a palace with the phrase “the King of Cambodia” on the other, made under the reign of King Ang Doung (1796-1860). 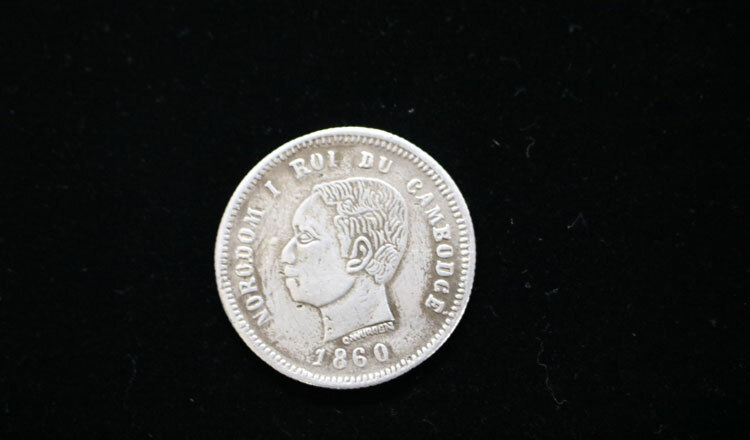 However, the most unique among them is a 10-cent coin bearing the portrait of King Norodom and a French phrase Norodom I Roi Du Cambodge because it was not until three years later that Cambodia became a French protectorate. At $270, it is the most expensive in the shop. 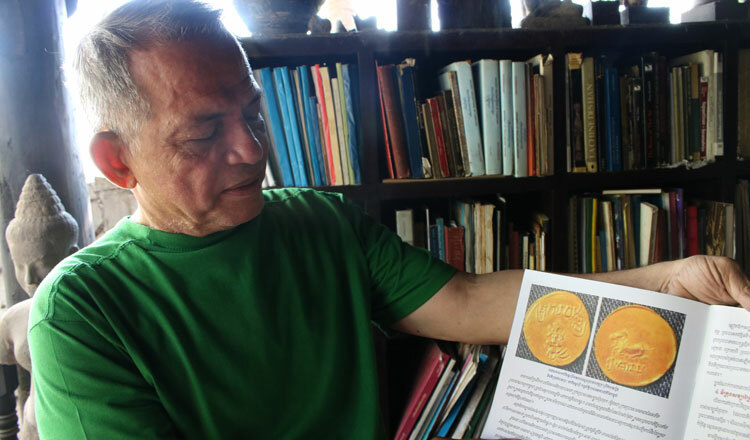 “This 10-cent coin implies the great influence of the French in the 1800s in the region,” says Dr. Michel Tranet, a prominent Cambodian historian and anthologist. A former Deputy Minister of Culture and Fine Arts, Tranet has spent years on chronicling the evolutions Khmer currencies and their social and economic essence, which he published in his book Funan’s Currencies at Angkor Borey and their Symbols. Tranet’s conclusions are based on archaeological evidence and the works of the foreign scholars, including Southeast Asia specialist George Cœdès (1886-1969). Tranet explains that the uniface coin bearing the images of animal, plants and symbols, which were mostly found in the ancient city of Angkor Borei district, Takeo, were the first coins to be issued in the Kingdom’s history while the ones bearing the pictures of the Sun were probably introduced in 6th or 7th century. Tranet adds that those currencies may show what Khmer people in ancient times valued such as their livestock and their gods. The earliest Khmer currencies units known to historians, according to works of literature, are sleung, nem and kahabanak. Yet, according to Tranet, there is no record which shows how they were valued or used, or adjusted to inflation. 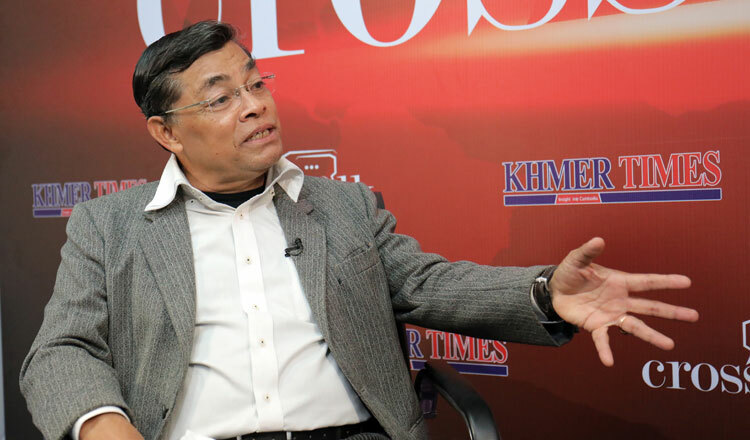 In the meantime, Professor Sambo Manara, the country’s other important historian, dismissed Tranet’s finding and claims that the ancient coins found on the land of the former Khmer Empire, were not made by the Khmer people but in fact were brought here by foreign merchants. Archaeologists have discovered currencies and artifacts from China, India, Persia and even the Roman Empire in Angkor Borei and many other parts of Cambodia, which implies the booming international trade between the merchants from these places with the land which would become Cambodia. Meanwhile, at a traditional Khmer funeral, a silver coin is often put into the mouth of the dead before the body is cremated. The belief is that this is the only wealth the dead could bring with them to the underworld. This practice is similar to the customs found in Greek, Roman and a variety of Western European cultures where it was believed that the deceased needed to pay the ferryman Charon in order to cross the river Styx to the afterlife. Manara adds that Khmer coins first entered circulation much later, particularly in the 15th century when King Korn, a peasant who dethroned the King Sokunboth in 1498, attempted to establish a new dynasty but failed to do so. King Korn was later dethroned and executed by Chanreachea, Sokunboth’s brother, six years later. “Local historical records show King Korn was the first monarch to have made Khmer coins bearing the image of a Naga and put them into circulation,” he says. In response, Tranet says the Khmer Empire’s prosperity and booming economy would have been impossible if the nation had not had its own currency. It was in the Lon Nol regime (1970-1975) that coins disappeared from the economy. Just after the fall of Khmer Rouge in 1979, People’s Republic of Kampuchea tried to introduce coins back into the economy by issuing pennies but they were not there for long. 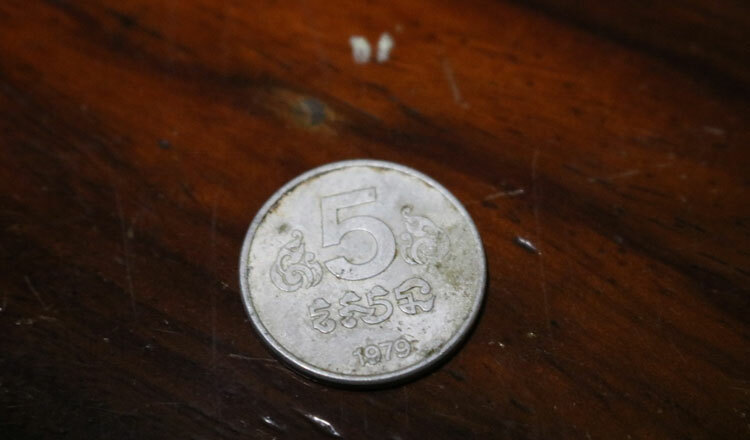 In 1995, the Royal Government of Cambodia tried to do it again but again they were not widely accepted by the people, although these coins are marked as “in circulation” on the National Bank of Cambodia’s website. “After years of civil war, plus the abolishment of banknotes during Khmer Rouge, Cambodia’s economy could no longer support coins as its currency,” Manara says. “People also lost the habit of using them. Despite their arguments against one another, both Tranet and Manara, both coin collectors, agreed that Khmer coins are valuable antique and thus should find their place in the collection market.